This sub shrub can reach up to 50 cm in height. Its long green three-lobed leaves with reddish veins are highly indented and velvety. The buds are pinkish; the small flowers white or purple, with five petals of which two have red striations. Geranium is now very common for its aesthetic appearance and ability to repel insects. Furthermore, this ornamental plant is well-known for its low maintenance. Today, there are hundreds of geranium species, of which, mainly for aromatherapy, geranium rosat and geranium bourbon. They are spread throughout the world, in China, Morocco, Egypt, Madagascar and Réunion Island, from which the name "bourbon", former name of the island, was taken. Associated to the planet Venus, geranium was often used to dilute rose oil to lower its costs. 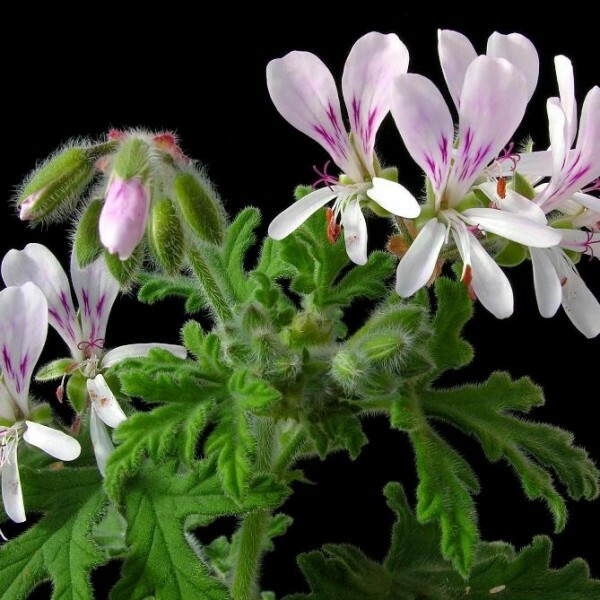 Geranium essential oil is used in dermatology since many years. It is particularly recommended for acne problems. Geranium bourbon, more expensive, differs from geranium rosat coming from Egypt, China, South Africa or Morocco, by its more gentle and delicate perfume. Aroma and taste : A rich and sweet taste and fragrance, with a note reminding of rose. Hydrosol aroma is very close to essential oil. No matter the temperature, the hydrosol gives a nice sensation of freshness to the touch and in the mouth (if not diluted). Stability and Shelf Life : Moderately stable. Astringent, antiseptic and skin-balancing. Soothing and antiinflammatory. Tonic. Haemostatic. Cooling. Mosquitoe and insect repellent. Applications Treatment of oily and acneic skins. Blurred and dull complexion. Sunburns, skin irritations, hives, eczema. Insect bites. Razor burn. Scalp dandruff. Acne lesions, small wounds, burns. Stretch marks. Hot flashes. Mosquitoes and insects. Geranium hydrosol is an essential for the entire family. It is suitable for oily, dry, acneic and sensitive skins. It can be used alone or in combination with other hydrosols. 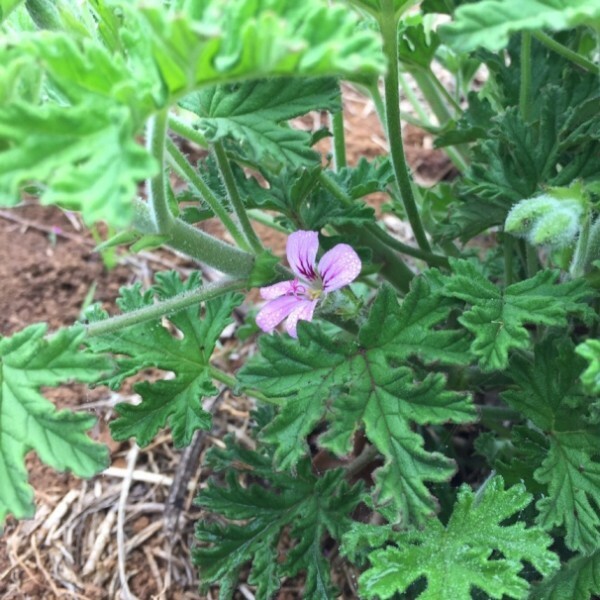 Geranium can be used in making lotions, face masks, creams and cleansers, etc. Synergy: Rosemary, lavender, chamomile, peppermint, sage, citronella, eucalyptus, tea tree.